Why would a happy wife end her life? At the center of this puzzle is Adrian Wolfe, a successful architect and grief-stricken widower. 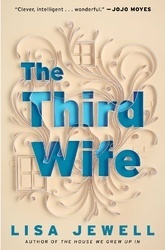 A year after his third wife's death, Adrian begins to investigate the cause. As he looks back on their brief but seemingly happy marriage, disturbing secrets begin to surface. The divorces from his two previous wives had been amicable, or so it seemed; his children, all five of them, were resilient as ever, or so he thought. But something, or someone, must have pushed Maya over the edge in this gripping, psychologically nuanced story about a "perfect" marriage and the broken pieces left behind.